It is said that "true giving is true receiving." When we give genuinely to support the basic needs of impoverished children, provide education that will open doors to fresh starts and new opportunities, make medical care accessible to the sick and elderly-this indeed is the very best gift we can to give ourselves. Bodhi Seeds provides such opportunities by dedicating its resources to the support of monastics, students, and the elderly in the Himalayan regions of India, Nepal, Bhutan, and Tibet. It is only possible to accomplish these goals through your generosity and active interest. I would like to request your kind support of our efforts to relieve some of our world's most fundamental sources of suffering. Through our mutual intention, may the pain of illness be relieved and may education open all eyes to the genuine wisdom world. Please contact Bodhi Seeds staff in your area to join us in this profound enterprise to overcome our world's suffering. 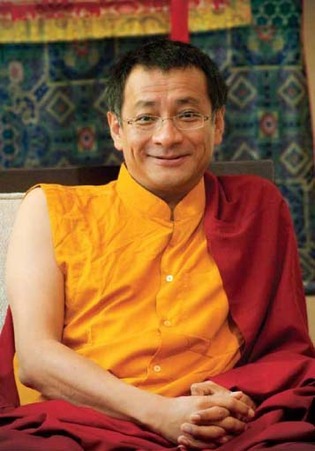 It is directed by Acharya Tashi Wangchuk, with assistance from Dr. Donald Ross and Susan Kirchoff, RN, MA., administered from the seat of the 7th Dzogchen Ponlop Rinpoche in Seattle, Washington. Bodhi Seeds began with a loose organization that responded to the needs of Rumtek monks for money that enabled them to purchase basic necessities and to travel home to maintain ties with family. One of its first efforts was also to provide scholarships for children in the village who could not afford to go to school. At the request of the lay administration of the Rumtek Monastery, Bodhi Seeds consulted on the construction and administration of a new medical clinic. With Bodhi Seeds support, the clinic has been in operation since 2010. It is open with nursing staff seven days a week and a visiting physician one day per week. In 2013, Bodhi Seeds received a request from the 7th Dzogchen Ponlop Rinpoche to consult to Legon, China to assess how this Tibetan community could have improved access to medical care. Bodhi Seeds consulted with local community leaders and provided a small grant in 2013 to assess the ability of the community to sustain a clinic and offer health care. A visit to Legon in 2014 proved not only the capability of the community to offer health care and manage funds, but also the need for an enlarged facility. After consultation with the local people in Legon, Bodhi Seeds financed the construction of a new 11 room clinic and will now help the community obtain the necessary equipment and staff to provide primary and preventative care for the 20,000-30,000 herders and villagers living close by. Bodhi Seeds will continue to advocate strongly for maternal-child care in both Legon and Rumtek. Bodhi Seeds projects are unique in that they are generated from the community and employ local people as staff and local vendors as suppliers of health care equipment, medicine and disposables. There is no foreign paid or volunteer staff that work on site. Bodhi Seeds is engaged in funding initiatives at Rumtek Monastery in Sikkim, India, one of the most important seats of the Kagyu lineage. Rumtek Monastery was built in the 1960's at the behest of His Holiness the Sixteenth Karmapa. Rumtek is the International Kagyu Headquarters from which lineage activities have manifested throughout the world. Here the younger generation of Kagyu masters are being trained in the traditional study and meditation practices which have been taught for the last 900 years. Bodhi Seeds also responds to requests for medical consultation from individuals and communities in the case of infectious disease epidemics. Future goals for Bodhi Seeds are to broaden even further, including facilitating the growth of community centers and clinics in other Himalayan areas. Bodhi Seeds aspires to continue to consider new project requests that arise from a direct connection with the people in those communities that need its support.